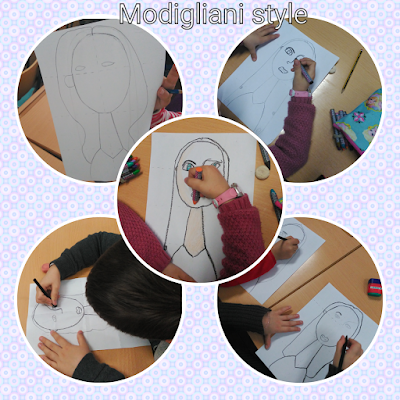 We have been drawing Modigliani Pictures in our Art Class. It is a proposal of our Italian colleague Rosalia Petrocelli in the eTwinning project about the art section. This Italian painter and sculptor is known because of his portraits in a modern style characterized by elongation of faces and figures. We have enjoyed very much with this Italian painter. It was a new way of creation! 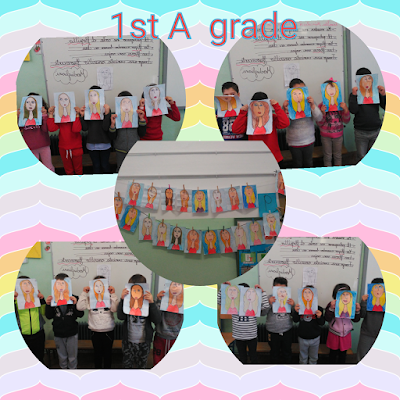 We are really happy and proud of our results. Ready to see our wonderful drawings from 1st grade? Modigliani ( Livorno, 12 July 1884- Paris 24 January 1920) was an Italian jewish painter and sculptor who worked mainly in France. He is known for portraits and nudes in a modern style characterized by elongation of faces and figures. When he was in Paris he came into contact with prominent artist such as Pablo Picasso and Costantin Brâncusi. 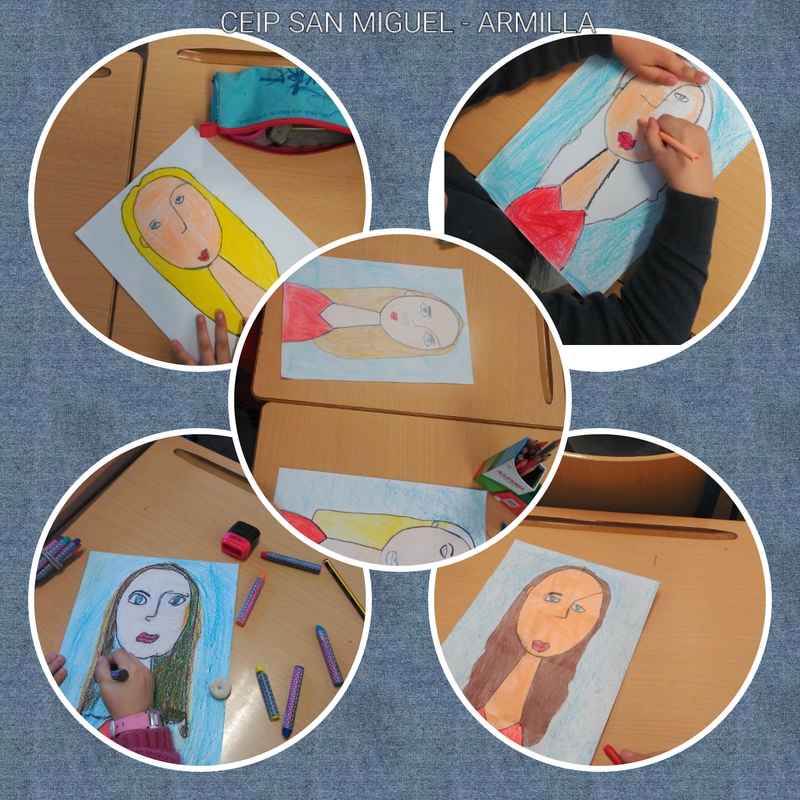 We were very curious about this painter and we wanted to imitate his masterpieces.